Antonio Banderas—now free of all things Shrek and having satisfied his need for undersea adventures—has embarked on a whole new creative journey. Yahoo! News reports that Banderas has gone back to school to study fashion design. The actor has enrolled at Central Saint Martins in London, whose alums include Stella McCartney and Alexander McQueen. We hope someone has told him that the cat boots niche has already been filled. Banderas is taking a course that has been tailored to his acting schedule—he’ll wrap up the class before school starts for other students, thereby relieving him of the pressure of picking the right study group. 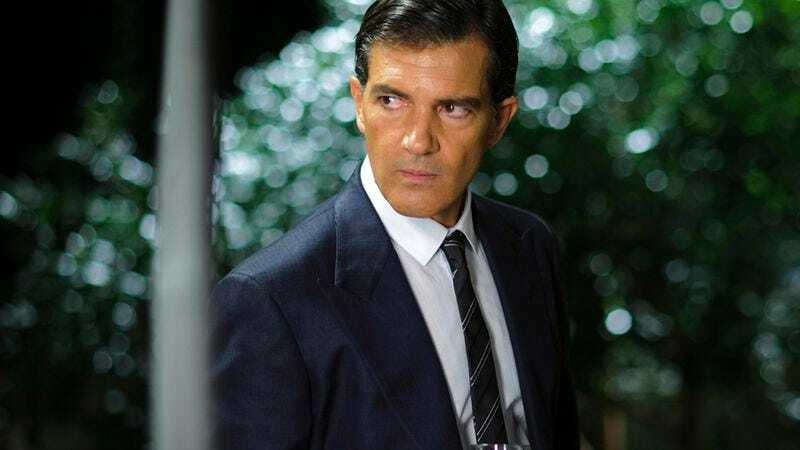 Banderas divulged his plans earlier this year when he told the hosts of a British panel show, Loose Women, that he wanted to study clothing design. He tweeted a picture of himself this week, surrounded by dress forms, and described his second week of classes as “intense, exciting, serious and fun all at the same time” (that, or he was talking about himself). Despite the fact that the Zorro movie train(s) has left the station without him, Banderas hasn’t given up on acting. He’ll revisit his Mambo Kings days when he plays a “hard-drinking, romantic” Cuban detective in Havana Quartet, an upcoming Starz series he’s producing along with Eduardo Machado (Magic City).